You'd know the silhouette anywhere: It's the iconic Mickey Mouse ears! That universal symbol of all things Disney. 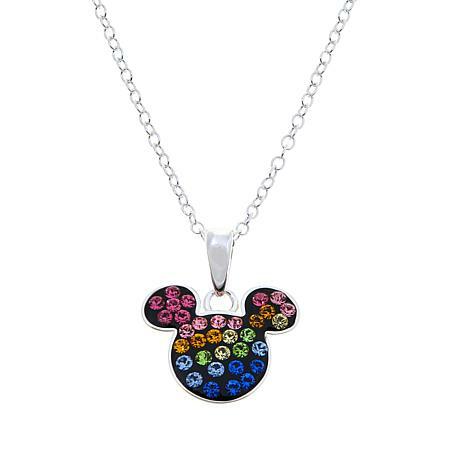 Sparkling with multi-colored Swarovski crystals, this classic Mickey Mouse pendant-necklace makes a great gift for any Disney fan!